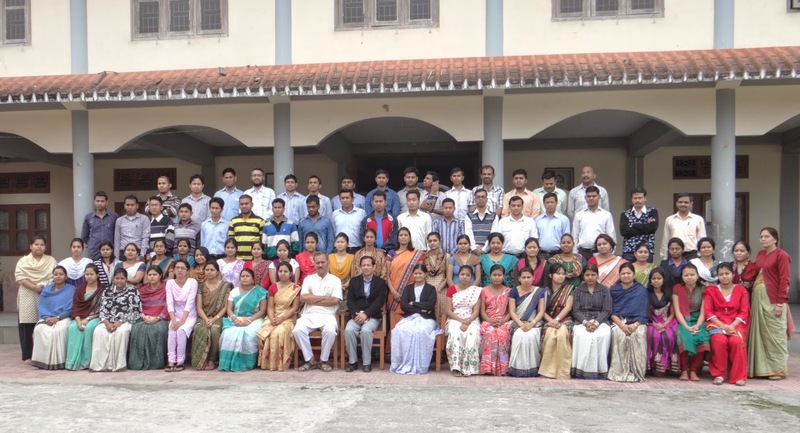 The present session (2017-2018) of Class 11 started with the brief programme of introduction of the students of both Science and commerce on 12th May, 2017. The programme started at 8 am in the Sanskriti Sabhagriha where Smt. Sanchita Mazumder, PGT, VKV Dibrugarh gave a welcome address followed by the Vice Principal, Sri B.M.Naidu narrating the DO’s and Don’t’s of the Vidyalaya. The teachers also introduced themselves to the students. The programme concluded with the speech of Principal, Sri Ravindranath D. Savdeykar, the background of Vivekananda Kendra and Vivekananda Kendra Vidyalayas and the history behind the construction of the Rock Memorial. 47 students from Science and 32 students from Commerce attended the programme.